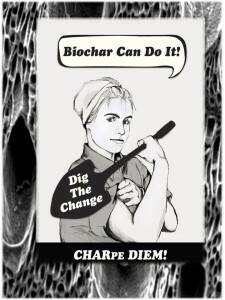 Finger Lakes Biochar | CHARpe Diem! In line with our ‘plant waste wisely’ tag line, we envision a future where human behavior towards organic matter mirrors the nutrient cycles found in nature. To create economically viable & environmentally regenerative biochar production models.